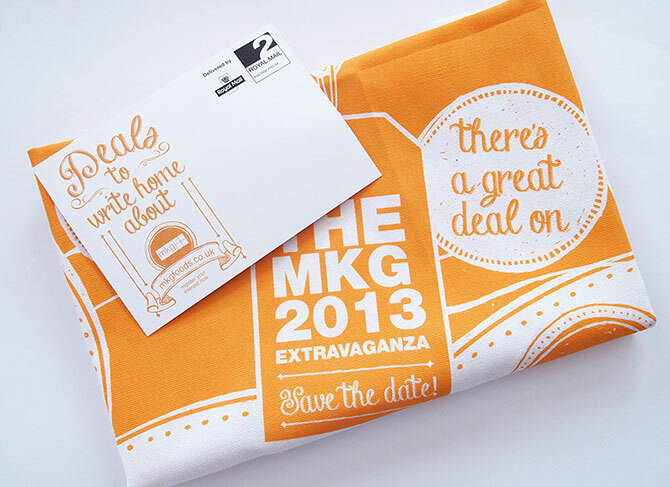 When, like MKG, you run an event each year it requires creative thinking to keep the invites and ‘save the date’ materials fresh and exciting each time. As the ‘save the date’ mailing is the first piece of communication about the event it was key to ensure they left a lasting impression. 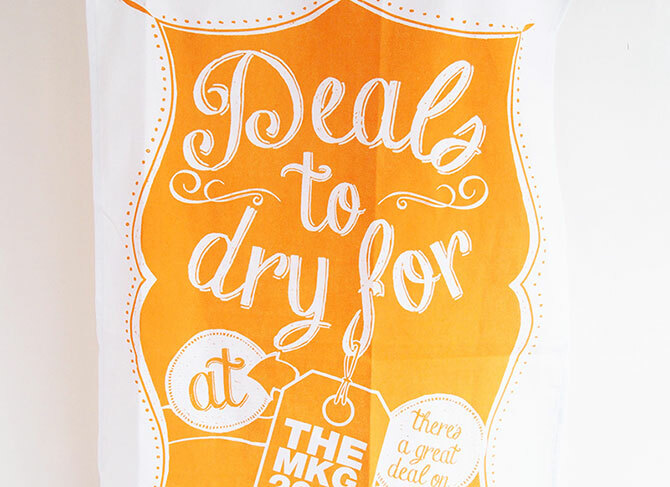 We designed and sourced custom printed tea towels, using the slogan ‘Deals To Dry For’ to tie into the ‘Great Deals’ theme of the event. The audience for the invites are pubs, schools and care homes so we knew that a tea towel stood a good chance of being kept and used and its uniqueness made it stand out. 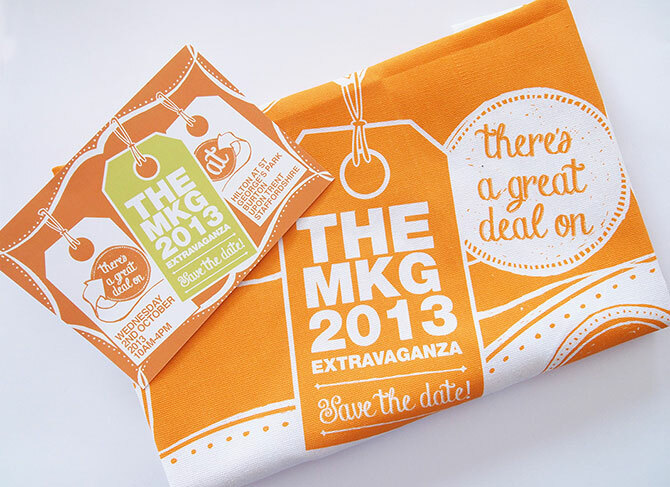 The tea towel was sent with supporting print material and a follow up invite booklet that helped ensure this year’s event was one of the best attended in years.